A number of people have asked me over the years what to do in Paris or elsewhere in France if visiting around Christmas and New Year’s. These are generally family holidays in France. Many businesses will shut down and Paris is not known for its New Year’s nightlife. But there are still some great options to make a winter visit worthwhile. My favorite part of winter in Europe is the Christmas markets. Strasbourg and Colmar can be very cold but these small cities are beautiful with all the holiday lights and other decorations. And the plentiful vin chaud or hot spiced wine can help with the cold…. Strasbourg is now only 1h46 hours from Paris by train. So it’s doable as a day trip, though spend a night if you can. There are wonderful hotels, such as Les Haras, and world class restaurants. I also recommend renting a car and exploring some of the smaller towns of Alsace. Lille has a nice Christmas market, though not quite as atmospheric as the Alsacian options. I have not visited the Christmas markets in Provence (Avignon and Aix-en-Provence for example), but this link has some more information on this and other intriguing markets. If you have time to venture 3 hours or so by train into Germany, Cologne’s market is world famous and well worth the trip. Finally, if you’re staying in Paris, you can still hit up a Christmas market or two! Find out more here. Sick of traditional Christmas cards? Here’s an idea! 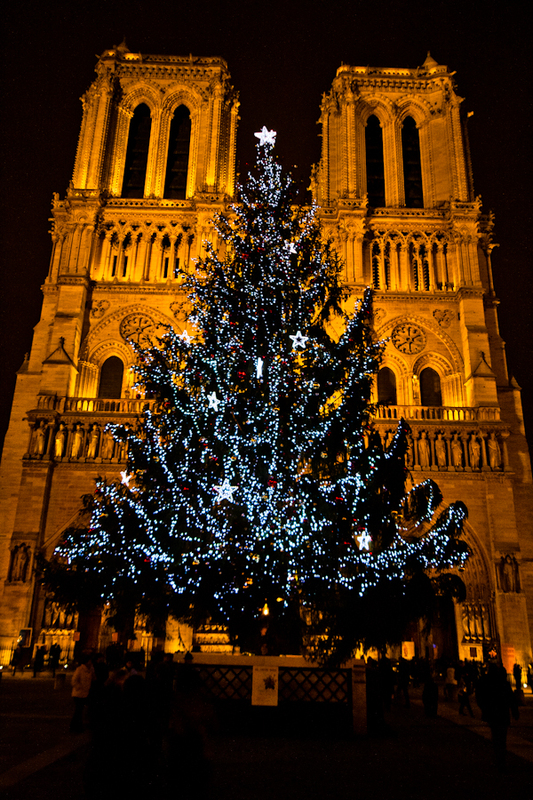 What are your favorite things to do in Paris and further afield around the holidays? I’d love to hear from you!